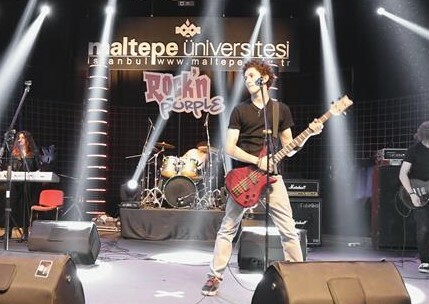 Kaan Yazıcı was a high school student at Kadıköy Anadolu High School, in Istanbul when he was admitted to the Berklee School of Music's Summer Fellowship Program. His dream was to study music, specifically sound engineering and become a successful producer. By the age of 11, he was involved in music and started playing the guitar. Throughout the years, he took part in school orchestras and choirs, performed with different bands, both as a vocalist and a bassist. He started to focus on music production by himself for nearly two years and he also worked with a professional producer to improve his view in this field. At the age of 17, music became his main goal in life and he decided to design his career on becoming a producer.